Signs of the Times: K is for ____________. 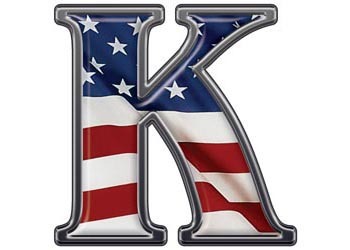 I wonder if you have noticed how frequently the K Word has been appearing in books, media and movies in recent days. Can you guess what K Word I might be referring to? No, it’s not Kardashian nor Krauthammer. Nor is it Knockout, but you’re heading in the right direction. No, it’s not even Kennedy. Although JFK has been in the news a whole lot and has more than a bit to do with the K Word. Well, the K Word is Kill or Killing. It seems to be everywhere and not just because of Killing Kennedy. Killing Kennedy has been a hot topic for days as the assassination of JFK on 11/22/63 has been remembered and remembered. Killing Kennedy has been on TV in a number of ways. Before that Bill O’Reilly came out with his Killing series which has grabbed great attention and helped put Killing as a top media word. First it was Killing Lincoln, then Killing Kennedy, and now Killing Jesus which is the biggest selling book in the world as of October. So, there was first Killing Lincoln - an O’Reilly book, now a movie with Tom Hanks, and a TV production by National Geographic. Then, Killing Kennedy - another O’Reilly book, TV movie by Nat Geo, lots of commentary and secondary programs on TV and the Internet. And now, Killing Jesus - a so-called History book again by O’Reilly, to be made into another National Geographic TV movie. One has to wonder if there are any more Killing books and movies in O’Reilly’s or others’ plan. Regardless Killing in word and deed are popular these days. There is a Killing Games website, with movie in development. There was a recent Killing Season - DeNiro and Travolta - film in 2012. Top movies of the last two years (per Google) don’t have Kill in their titles, but many of them certainly give hints in that direction as prominent parts of story lines. What might all this Killing stuff mean? What does it say to you? Words are not just words but also symbols. What does the plethora of the K Word symbolize? Address comments to theportableschool at gmail dot com. PS I just got stuck on the NY Times website. The front page wouldn’t load and the Chrome browser gave a choice of Wait or Kill Page. Kathy - with a K - in Idaho responded to my note about the K Word as a Sign of the the Times. She was hoping that K stood for Kindness. Kathy said that Kindness is what she is working on. Shouldn't we all be doing that? Kindness sure "beats" the other K Word - for Killing - which has been so prominently around us and in the media. Maybe if we promote and act out Kindness we will see less of the other K word. What if we learned to deal with others - friends and strangers, neighbors and enemies - by "Killing with Kindness"? Isn't Kindness, Friendliness and Goodwill what we really need to create Peace on Earth? Maybe you have thoughts about Kindness vs. Killing. Comments are welcome. I may have gotten more responses on the last email about K for Kindness - thanks to Kathy Ruyts - than any note I have sent out ever. Synchronistically last night, I happened to watch an old black-and-white movie from 1947 called The Bishop's Wife - with Loretta Young, David Niven, and Cary Grant. The final scene has David Niven, the Bishop, unknowingly reading a sermon which had been written by the Angel Dudley, played by Cary Grant. He finishes the message with reference to all the gifts given at Christmas, yet the Christ child is still waiting for his stocking to be filled simply with "Loving Kindness, Warm Hearts, and Stretched Out Hands of Tolerance." Responses follow, send further comments to theportableschool at gmail dot com. "Killing with Kindness" Love it! Cynthia M.
I am sending you the email of a friend - a flight attendant for Delta who has been focusing on kindness for many years now. She operates the QKindness Café in St. Paul and it is an amazing place with a sharing of many ways to promote those acts of kindness. Kindness, Amity and Unity to all.